I wanted to enter a card that would be all together different than any of the others, so I drew my sketch of what I wanted I then made myself a template. Using my scalloped Scissors I cut the trim for the tops of the card and the inside over the words. I stamped a window and then cut it out, colored it and added some Martha Stewart punched tiny butterflies and added a cloud to the center of the inside of the window. I used my marvy punch to make my fence then put red ribbed ribbon through it. I added a bunch of roses behind the fence and put Red glitter glue over some of them. 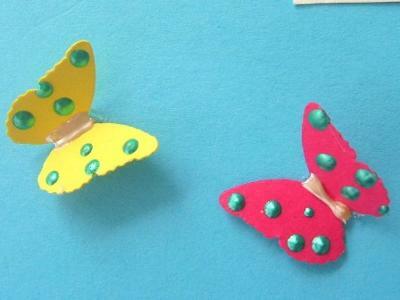 I added more butterflies using my MS punch and put some Liquid pearl on them. 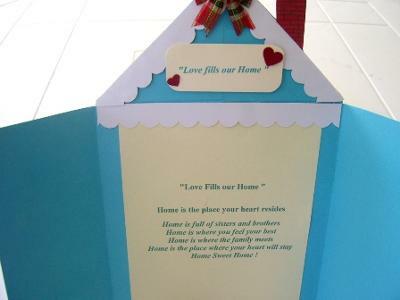 Then I added a label at the top of the house I printed "Love fills our Home". 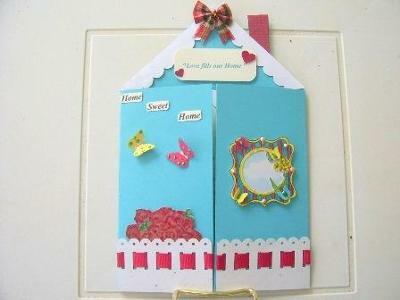 I put a plaid bow at the very top of the house and added a red chimney then I put the words staggered "Home Sweet Home" on the inside of the card. I typed these words and then printed them out. My Hubby and I have been living on the West Coast of Florida for almost 21 years now. We are together for 29 yrs and married for 27 yrs. All of our Children and Grandchildren are here not far from us. We have been blessed with 4 wonderful Adult Children and 9 Beautiful Grandchildren. 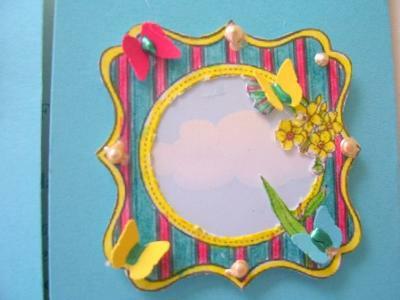 Please come visit my blog, Something Crafty by Dottie.